The nominations for the 19th Annual MTN SAMAs were revealed yesterday at The Turbine Hall in Newtown, Johannesburg. Newcomers dominated the announcement with new sensation Toya Delazy’s stunning album Due Drop Deluxe receiving 6 nominations; Newcomer of the Year, Best Pop Album, Record of the Year, Best Producer with Jax Panik and twice for Remix of the Year, one each with Pascal & Pearce and ClassyMenace. Hot on her heels is another newcomer, ChianoSky with 5 nominations from her debut album, Hungry, including Record of the Year and Best Producer with Crighton Goodwill. The Hip Hop category is bound to be a closely contested with Pro, Khuli Chana, Reason, Proverb and Eternal Effect up for ‘Best Rap Album’. Khuli Chana has also been nominated for ‘Male Artist of The Year’ and ‘Album Of The Year’. 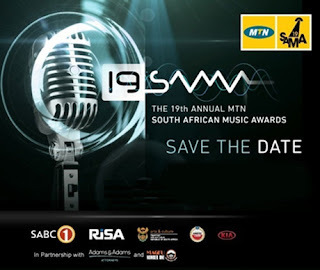 The nominee announcements, which were streamed live on Facebook and mobile, were made by a star-studded MTN SAMA 19 panel which consisted of previous SAMA award-winning artists Vusi Mahlasela, Ray Phiri, AKA, Mafikizolo, DJ Sbu and Zonke. MTN SAMA CEO Nhlanhla Sibisi, chief marketing officer MTN SA Serame Taukobong and acting general manager of SABC 1 Sam Mpherwane joined them.